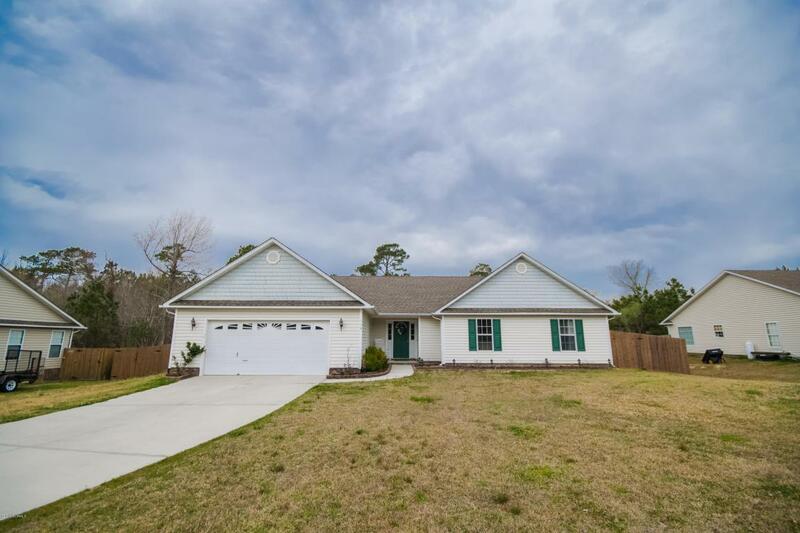 Are you looking for a move in ready single story home only 13 miles from the beach? Look no further. 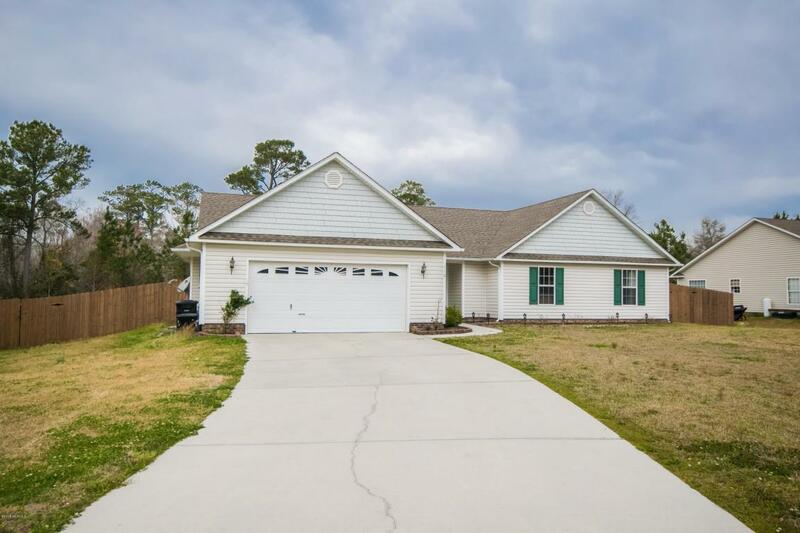 This home sits on .78 acres and is within walking distance to down town Swansboro. Driving up to this home you will immediately notice the mature landscaping...so easy to maintain. As you enter the home you are drawn immediately by the welcoming foyer leading into the large living space with pitched ceilings, a fireplace, ceiling fan and recently installed wood floors. The open concept brings your eyes to the ample dining area and warm kitchen. And don't miss the screened porch off the dining room! 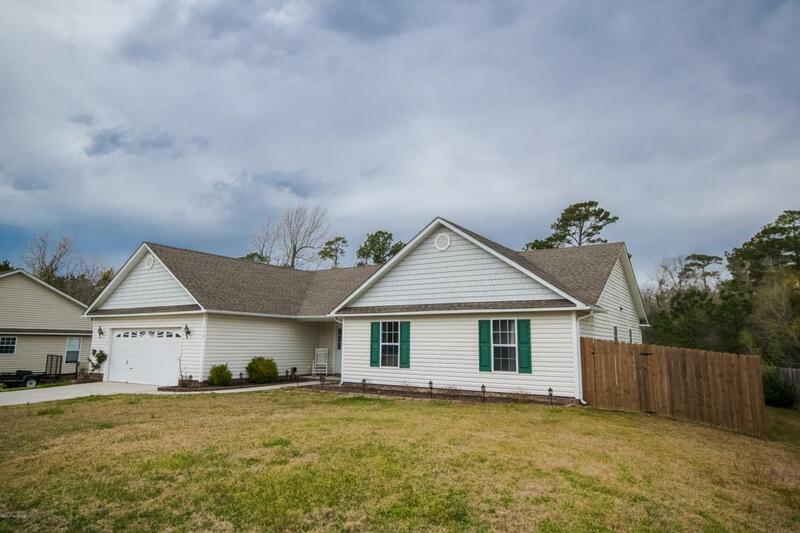 On the other side of the home you will find a large master bedroom with beautiful floors, large walk in closet, ceiling fan and the windows shed in plenty of natural light. Thebrightness of the master bath is refreshing! 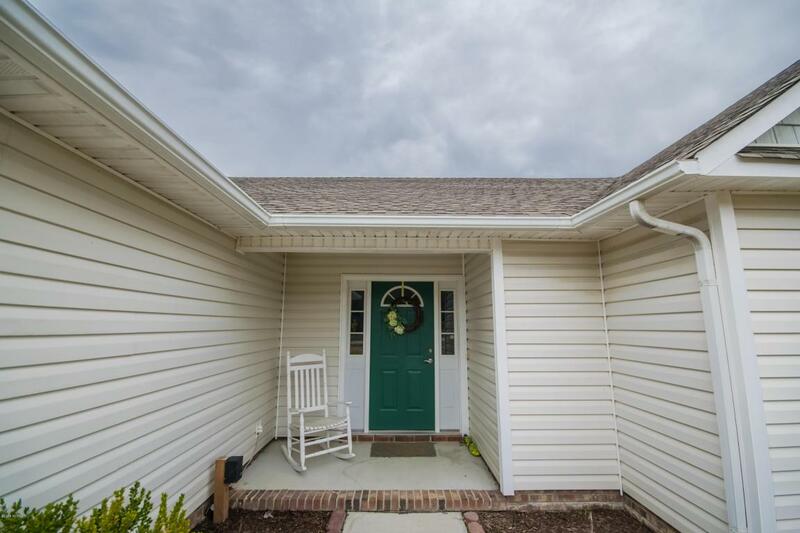 This home also has another 3 bedrooms for you and your crew! All are large with spacious closets. The hall way area has adequate space to have a computer area or home work center. In the back yard you will be pleased to find a privacy fence, large deck for entertaining, mature trees flanking the back fence and a fire pit. All you need to do is schedule an appointment to preview this home and make an offer! Listing provided courtesy of Lillian M Wendricks of Century 21 Sweyer & Associates.